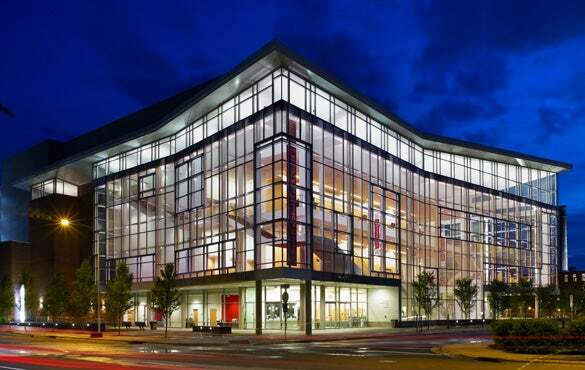 DURHAM, NC- DPAC, Durham Performing Arts Center has just announced key attendance statistics for their just completed fourth season. DPAC's 2011 / 2012 Season featured 200 performances which drew 417,180 guests and saw 67 total sellouts. Heading the list of the highest attended shows were the Radio City Christmas Spectacular (38 performances at DPAC) and Wicked (32 performances at DPAC). "It all starts with great shows, and for us to have two big multi-week blockbusters in the same season really tipped the attendance scales", said Bob Klaus, DPAC's General Manager. "It's a credit to Nederlander and PFM and the great shows they bring us , this will truly be a season to remember." In addition to Broadway and Holiday blockbusters, DPAC again delivered a season with great variety and something for everyone. Concert sellouts featured Rock acts like Steely Dan and The Moody Blues, Folk concerts including the legendary Paul Simon, Country superstars like Dolly Parton and Willie Nelson, renown Jazz artists like Diana Krall, a long list of R & B icons including Aretha Franklin, Patti LaBelle and Earth, Wind & Fire and even a Bluegrass concert with Steve Martin and the Steep Canyon Rangers. Plus Comedy also played a decisive role in DPAC's season with Daniel Tosh and Bill Cosby posting record setting sellouts. 5. Disney's Phineas & Ferb Live! Unquestioned as the center for live entertainment in the Triangle, the combination of high profile Broadway, concert and comedy events has also gained DPAC attention on the national live entertainment scene with two of the nation's top entertainment trade magazines naming DPAC among the most highly attended venues in the country. In their just published July 23rd, mid-year edition, Pollstar Magazine lists DPAC as #1 in ticket sales among reporting theatre venues in America. In previous rankings, DPAC had been among the top five listed U.S. theatres, but in this newest ranking covering the first six months of 2012, DPAC ranked higher than such iconic theaters as the Fox in Atlanta, the Coliseum at Caesars Palace Las Vegas, Nokia Live in Los Angles and Radio City Music Hall in New York City. And in their soon to be published July 28th mid-year charts, Billboard Magazine lists DPAC #3 in gross ticket sales among venues with a capacity of 5,000 or under. DPAC's accolades also run well beyond just attendance statistics. This past season saw the venue win a number of local Reader's Choice Awards. Separate from these local publication awards, DPAC also recently received a Certificate of Excellence ranking from TripAdvisor, the world’s largest travel and destination website. Rachel Gragg, Senior Director of Marketing at DPAC, stated “We're always very proud of our attendance statistics, but we really stand tall when we're recognized for these awards that are voted on by real fans and guests. Record setting season's will come and go, but if we can stay #1 with our guests, that is the real prize for our team at DPAC." Since its opening in 2008, DPAC, Durham Performing Arts Center, has become the center for live entertainment in the Triangle. Recognized for its contemporary design, DPAC features 2,700 seats, intimate sightlines and state-of the art sound and video. Operated under the direction of Nederlander and Professional Facilities Management (PFM), DPAC has twice been listed as the #1 performing arts organization in the region by the Triangle Business Journal. What’s up next? Back by popular demand Jackson Browne (July 22), six time Tony Award winning musical Chicago starring Christie Brinkley (July 31-August 5), comedy’s most outrageous night with Kathy Griffin (August 10), followed by country legend George Jones (August 18). Please visit www.DPACnc.com for more information about these and all upcoming events.